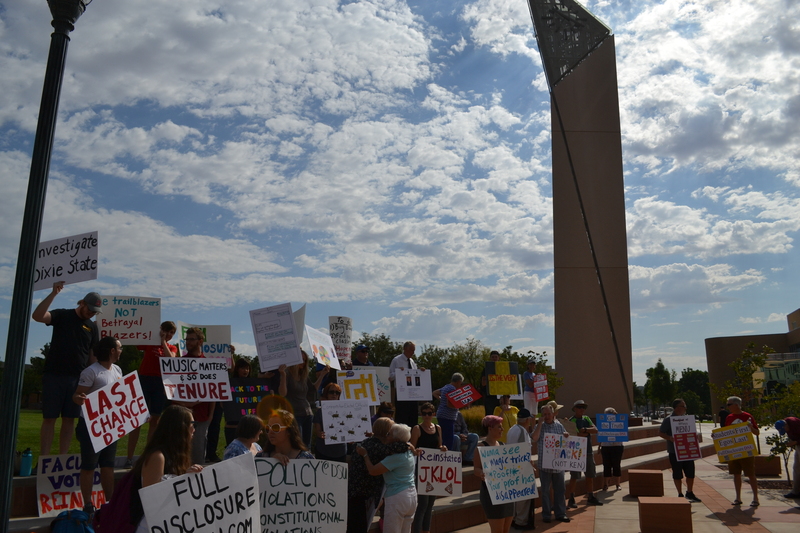 ST. GEORGE — Faculty at Dixie State University and a group of Utah state senators are seeking investigation into the school’s administration in light of the way the university has handled the termination of tenured professors. On Thursday, a request for a performance audit of DSU to examine compliance with the university’s policies regarding employee termination was submitted by five state senators to the Legislature’s Audit Subcommittee. The request comes just one week after a group of faculty members drafted a letter asking the school’s Faculty Senate to review policies intended to safeguard faculty rights and due process. 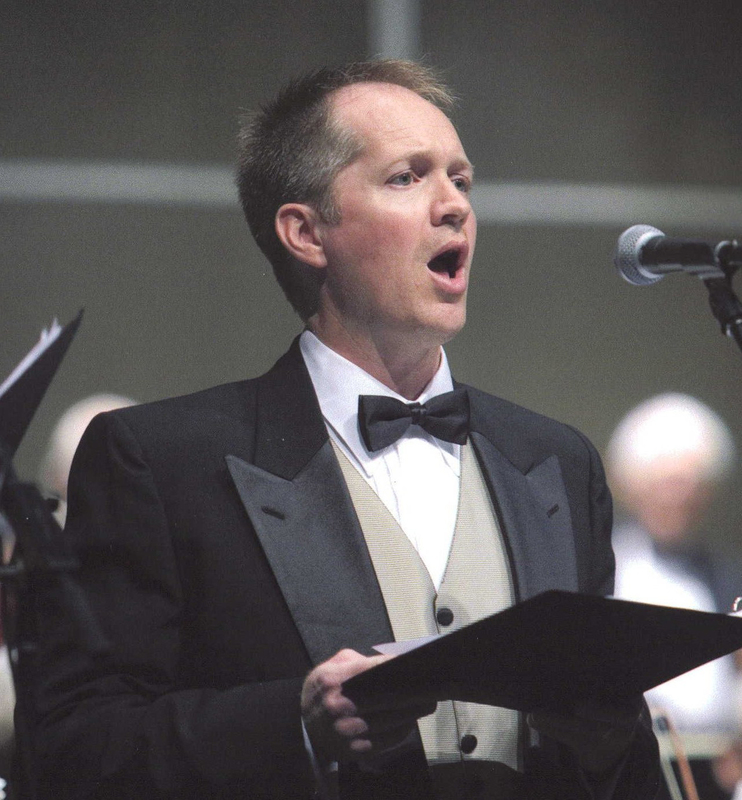 The calls for investigation come after two music professors, Glenn Webb and Ken Peterson, were fired for allegedly violating university policy. Both were later reinstated after appealing their termination, but the university would only agree to Peterson’s reinstatement if he signed a “Last Chance Agreement” that would have prevented him from teaching in his specialized field and otherwise restrict his ability to work on campus. Citing what they call “unreasonable demands,” the senators’ letter says the university is failing to meet its legal and ethical obligation to follow consistent and fair practices in human resources. The senators – Karen Mayne, Gene Davis, Luz Escamilla, Jani Iwamoto and Jim Dabakis – are asking the Audit Subcommittee to determine whether DSU has enacted policies that reflect best practices formulated by, among others, the American Association of University Professors. The AAUP has taken an active stance on Peterson’s case, submitting a letter to the university president arguing that the professor’s terms of reinstatement violate academic freedom. “Taken together, the sanctions against Professor Peterson, listed in the ‘Last Chance Agreement,’ plainly constitute severe sanctions and should not have been imposed without administration’s having afforded him the requisite protections of academic due process,” the Aug. 24 AAUP letter reads. The “DSU Faculty Call to Action” letter, which was emailed to fellow faculty Sept. 13 and signed by four “Concerned members of the DSU Faculty,” also defers to the AAUP, which states that Peterson has not been afforded due process, even under the university’s own policies regarding termination and reinstatement. The faculty letter asks the Faculty Senate to support the AAUP’s recommendation that the “Last Chance Agreement” be withdrawn as a condition of Peterson’s reinstatement. The letter argues that the Faculty Review Board that recommended his reinstatement should have been notified of any such agreement and allowed input on any terms or conditions. The senators are also asking auditors to determine what impact such personnel decisions have on faculty and student morale. The faculty members who drafted their own letter make it clear that, in their view, morale has been affected negatively. The faculty members say they have lost confidence in the administration’s judgment and are “dumbfounded” by its decisions. Dixie State University is supportive of any effort to improve our current policies and procedures when needed. The University is dedicated to engaging in best practices and will work closely with our local and state leaders in this endeavor. I’m in agreement with this audit. Having completed my education in the 1980’s, and the world having changed quite a bit since then, I understand that my perspective may not be the best. But I do recall that the most interesting, thought-provoking, and motivational courses I took were administered by TENURED professors. At that time, it was simply understood that firing a tenured professor was not going to happen. I’ve seen tenured professors survive all manner of backlash, and I didn’t always agree with them, but I always agreed that tenure is a solid idea. Give a good professor more freedom, remove that constant cloud that’s placed over their heads by the businessmen who run the university, and great things can happen. DSU’s administration has made some very questionable decisions regarding tenured professors, decisions that fly in the face of the entire logic behind tenure, and even though I won’t take sides on particular professors’ cases without a LOT more information than can be obtained in the local news, I will say that if there is any question at all of the administration being in the wrong regarding these firings, we should err on the side of caution, i.e., on the side of the tenured professors. This appears to be a small step in the right direction. Lets get it all out into the public eye. While I’m not in a position to support either side here, I’m sure supportive of an investigation. This situation has been brewing for some time. Let’s get it done and over with and get back to what our function is supposed to be. Educating students and teaching them to think for themselves! This behavior from the leadership at DSU is not new. They did the same thing to Dr. Lewis. He was railroaded. Oh my goodness!! A dark cloud appears over happy valley and those seeking to save the college, er, university are standing at the gate. What will solve the problem? Removal of the ring leader. Of course there will be egg on the faces of those who disagree, but so what? And if this should happen, I hope the faculty association will insist on vetting the members of the president’s search committee.